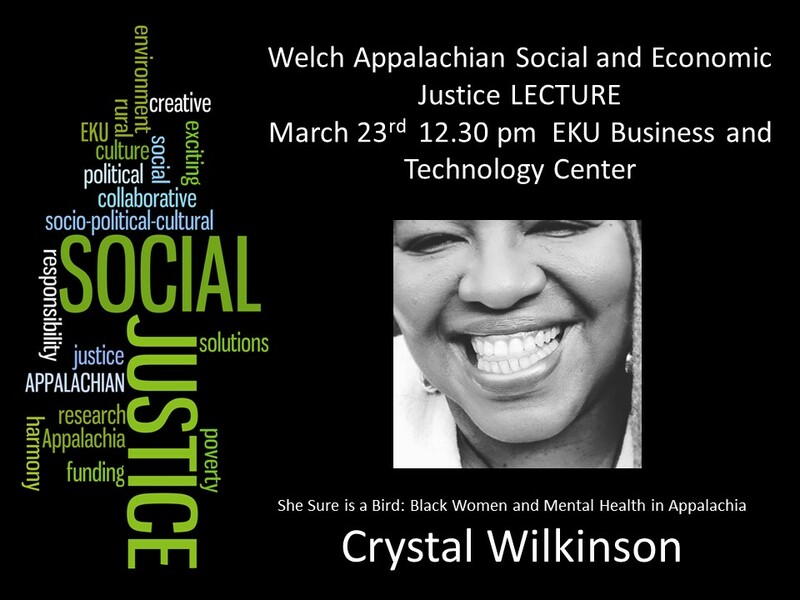 The 2018 Welch Appalachian Social and Economic Justice Lecture Series will present “She Sure is a Bird: Black Women and Mental Health in Appalachia ” by Crystal Wilkinson on March 23rd at 12.30 pm in the EKU Business and Technology Center Auditorium. The lecture is free and open to the public. CRYSTAL WILKINSON is the author of The Birds of Opulence (winner of the 2016 Ernest J. Gaines Prize for Literary Excellence, the Weatherford Prize for Appalachian Fiction and Judy Gaines Prize), Water Street and Blackberries, Blackberries. Nominated for both the Orange Prize and the Hurston/Wright Legacy Award, she has received recognition from The Kentucky Foundation for Women, The Kentucky Arts Council, The Mary Anderson Center for the Arts, The Fine Arts Work Center in Provincetown and is a recipient of the Chaffin Award for Appalachian Literature. She has been nominated for a Pushcart Prize and her short stories, poems and essays have appeared in numerous journals and anthologies including most recently in the Oxford American and Southern Cultures. She currently teaches at Berea College where she is the Appalachian Writer in Residence and in the brief residency MFA in Writing program at Spalding University. She and her partner, poet and artist Ron Davis, own Wild Fig Books & Coffee which is located in the North Limestone neighborhood in Lexington. For more information contact Dr. Caroline Reid, Associate Professor, EKU Social Work at caroline.reid@eku.edu or Social Work Office Associate, Evelyn Jones at evelyn.jones@eku.edu. 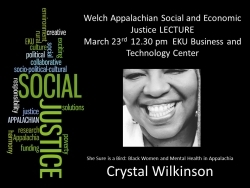 Attendance to the lecture is free but you should register by emailing evelyn.jones@eku.edu.